It is comprised of actions and attitudes associated with democratic governance and social participation. Civic responsibility can include participation in government, church, volunteers and memberships of voluntary associations. Actions of civic responsibility can be displayed in advocacy for various causes, such as political, economic, civil, environmental or quality of life issues. Quality of life in a society is therefore determined by how well the individual exercises civic responsibility. 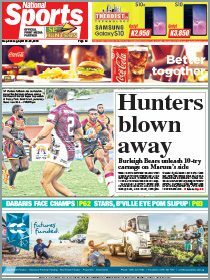 Two news items in yesterday’s edition of The National in relations Port Moresby city have hugely contrasted one another. 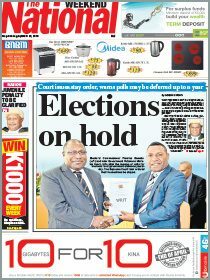 In short, one was about Port Moresby residents demonstrating civic responsibility and the other was about a want for it. In one article we read of the great news that the International Olympic Committee had identified Port Moresby as one of the “role model” cities in the world to pioneer the global active city development project. The city has been recognised for its “Walk for Life” and “Yoga for Life programmes initiated by National Capital District Governor Powes Parkop. Both events are held at the city’s Ela Beach. The active city project is supported by the Olympic committee to encourage city residents to become active and adopt healthier lifestyles through active participation in sports, physical activities and disease prevention measures. In direct contrast to that positive bit of news, we read in the next article of the city’s urban safety division director bemoaning people’s slackness or reckless attitude in their handling of rubbish. Paul Komboi says city residents were slack in this area which is an affront to the city authority’s noble efforts to clean and beautify the environment for all to enjoy. Betel nut vendors especially have been singled out, however, the consumers or chewers of the nut are equally to blame. Slack and careless people would obviously contribute to a rubbish-ridden and unhealthy city, hence more money is certainly spent on cleaning and scrubbing. It seems that the continuous announcements by the city government seem to have fallen on deaf years. As a result of such slackness and apathy, the NCDC continues to spend money to clean the city, money that could be better spent to upgrade social infrastructure. Ignorance is costly. When city residents complain about poor social services, dilapidated or crumbling infrastructure, yet refuse to do what is expected of them, such problems would persist for a long while as money continues to be poured into cleaning. Such spending is avoidable but is necessary because of the public’s poor attitudes. However, despite the bad attitude of what we hope is only a minority of Port Moresby’s population, the municipal authority led by a charismatic and health-conscious governor has already won the praise and recognition of others. The “Walk for Life” and “Yoga for Life” events continue to grow in popularity and attract not only individuals but families, public institutions and sporting organisations. The positives to gain from both these events are plainly better health of mind and body. They are a fun way of exercising in the company of many people and meeting and establishing acquaintances. Many who have been part the programmes are now reaping the rewards of having made the decision to join the simple and inexpensive exercise programmes. The recognition by the International Olympic Committee is, as PNG Olympic Committee president Sir John Dawanicura said, a testament to Parkop’s efforts to make Port Moresby a health and active city to live in. We join Sir John in encouraging more Port Moresby residents to be involved in the fun, safe and healthy activities. Rather than relying only to the tried and tested ways of educating the populace about their responsibilities to keep the city clean -through public awareness or regulations – the governor’s healthy lifestyle programmes are an innovative and fun way to achieve the same desired results. More city residents should be involved in such activities so they themselves can learn positive attitudes in a fun way to better appreciate and exercise civic responsibility.